Happy New Year from the LiveWell for LIFE team! This final year of the project is proving to be a busy one: we are already working with our pilot countries and the Network of European Food Stakeholders to develop EU public policy options and pathways for practical implementation of sustainable diets in Spain, France and Sweden. And, we are preparing for the final stakeholder workshop which will take place in June. Much, much more will happen throughout the year, but let’s start by looking at some of our latest activities. Read more about LiveWell for LIFE. What should individuals do if they want to make a difference? This is a question we hear again and again. We believe that changing the way you eat is relatively easy and something you can implement in your everyday life. So, to answer this question LiveWell for LIFE is introducing for people to follow. 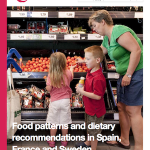 LiveWell for LIFE’s first report Food patterns and dietary recommendations in Spain, France and Sweden – released in April 2012 – looked at current dietary patterns in our pilot countries and compared this to national dietary guidelines in each country. We are excited to release an addendum to this report which uses Sweden’s latest dietary survey, Riksmaten 2010-11. 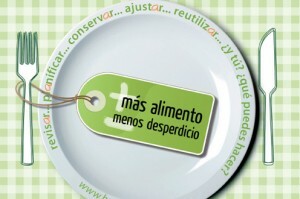 Learn more about the Spanish Government strategy to reduce food waste. 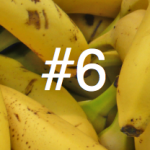 Last year, the Ministry of Agriculture, Food and Environment presented ‘More food, less waste’, a programme to reduce food waste and maximise the value of discarded food. Nutricate is a new initiative in the States, which allows restaurants and other food suppliers to positively influence consumer behaviour. By providing personalised nutrition information – such as calorie content of the meal just purchased – or recommendations for healthier options, Nutricate has the potential to support consumer in making healthy and sustainable decisions when buying food. The LiveWell team had a couple of very positive days at the Nutrition & Health Live Conference in November. This event was attended by almost 650 dieticians, nutritionists and other health care professionals and was packed with inspiring sessions and presentations by some brilliant speakers. The delegates we spoke to demonstrated a real interest for the project! Welcome to all the new members of the Network of European Food Stakeholders who we met at this event.